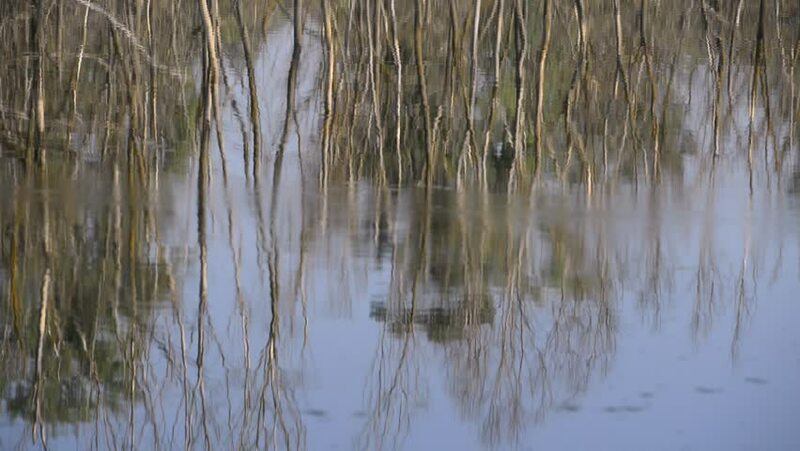 hd00:20Rain on an overcast river with reflections of gum trees in Australia. Shot reveals rusty train bridge over river. PAN UP SHOT SLOW MOTION. hd00:11American Alligator (Alligator Mississippiensis) in Cypress swamp. hd00:31Slush ice floating in winter river. hd00:09Reflection of trees in the river in spring. Video full hd. hd00:16Small waterfall in the park at sunset day in Antalya, Turkey.